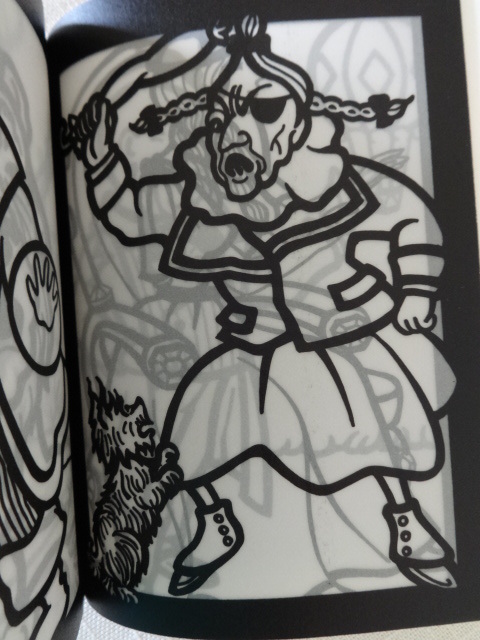 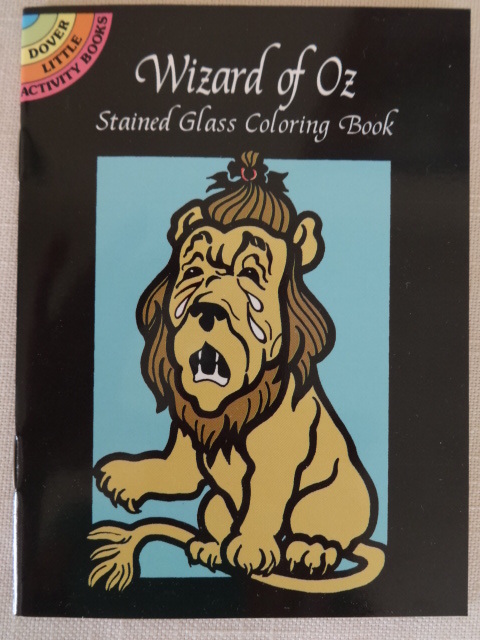 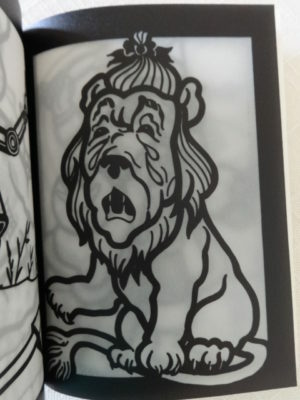 Here’s a fun little item–a Wizard of Oz coloring book on transparent paper, so the result looks like stained glass. Great for a window decoration. 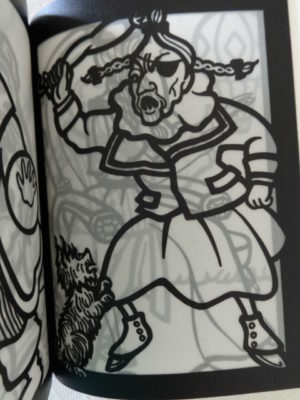 This 1999 Dover book is priced at $32 and up on Amazon! 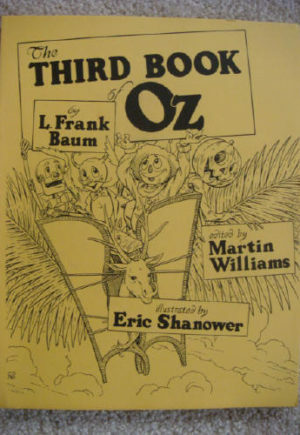 That’s crazy, cuz this is a little book, but it is cute, with illustrations based on the original ones by Denslow. 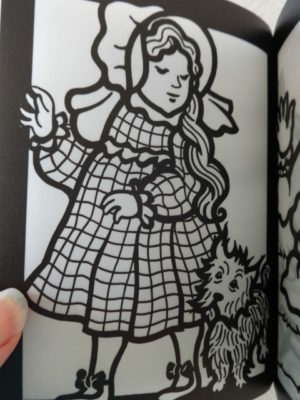 There are 10 stained glass “plates”. 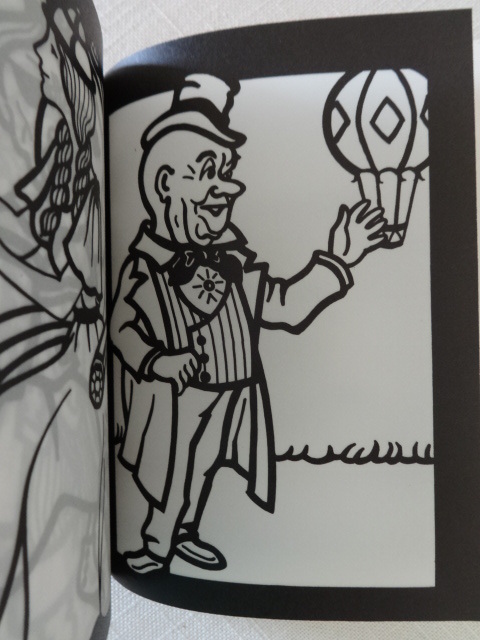 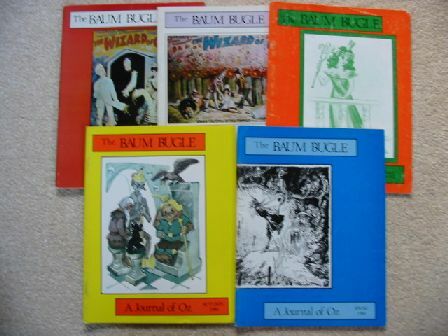 The book is softcover, 4″ x 5.5″ and in perfect unused condition.